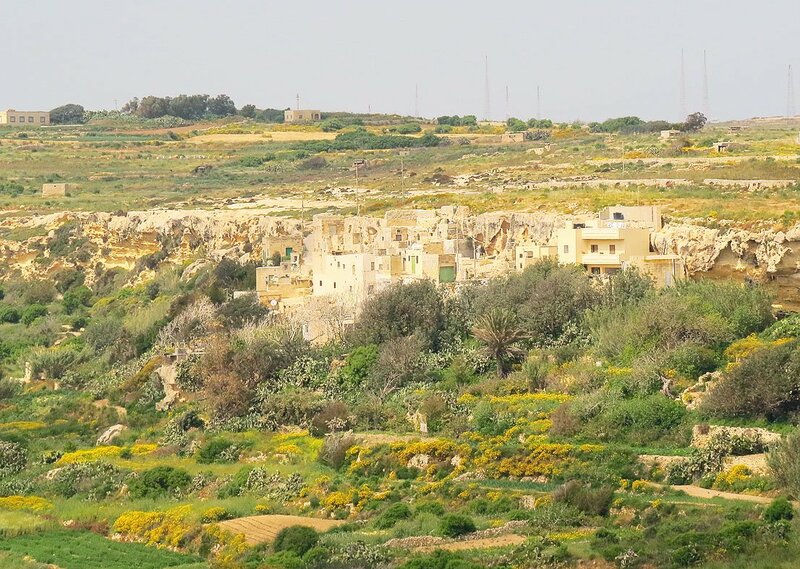 The town of Rabat sits proudly on top of a hill in the centre of Malta. Though perhaps playing second fiddle to the more visited Mdina next door, Rabat is a highly interesting historical town. Tracing its origins to Roman times, Rabat boasts the best preserved Roman mosaics on the island as well as a number of early Christian catacombs which date to the third century AD. 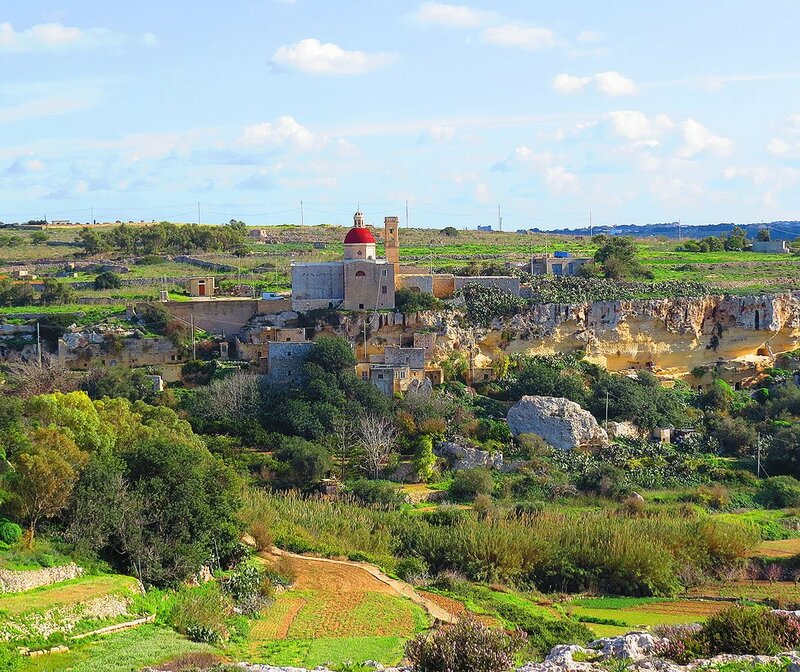 But Rabat can also be considered as the gateway to Malta’s sparsely populated western district – an area of open fields and countryside all of 25 minutes away by foot from the centre of town. Following St.Agatha and the ensuing Hal-Bajjada streets from the centre of town one finds himself in the Santa Katerina area which leads down to the Wied Liemu valley. One can easily follow the picturesque trek along the water course here; there is usually some running water in the stream until late spring. From here one can track back to Rabat – and it can all be done in under an hour. But venturing further is probably more tempting…. 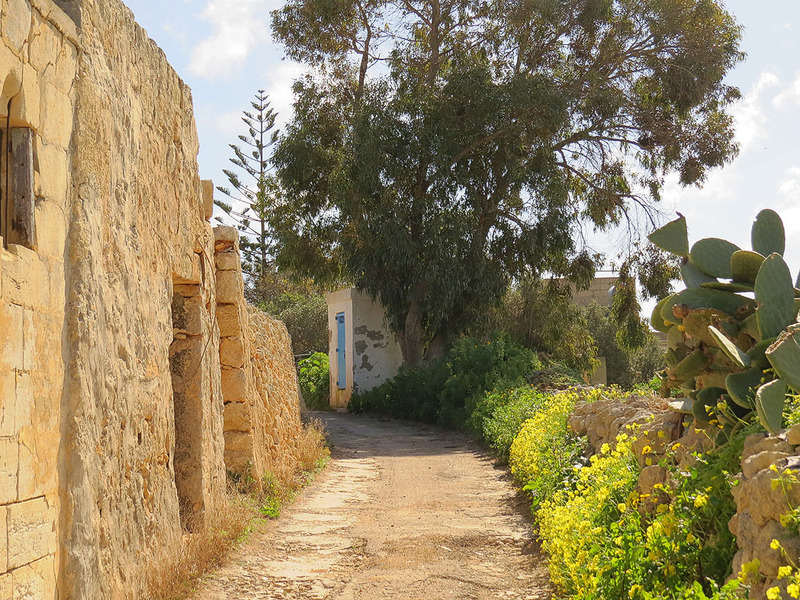 From the lower end of Wied Liemu one can easily track to the tiny hamlet of Ghar Zerriegha – a small collection of farm houses which seem to cling to dear life on the side of a steep cliff. 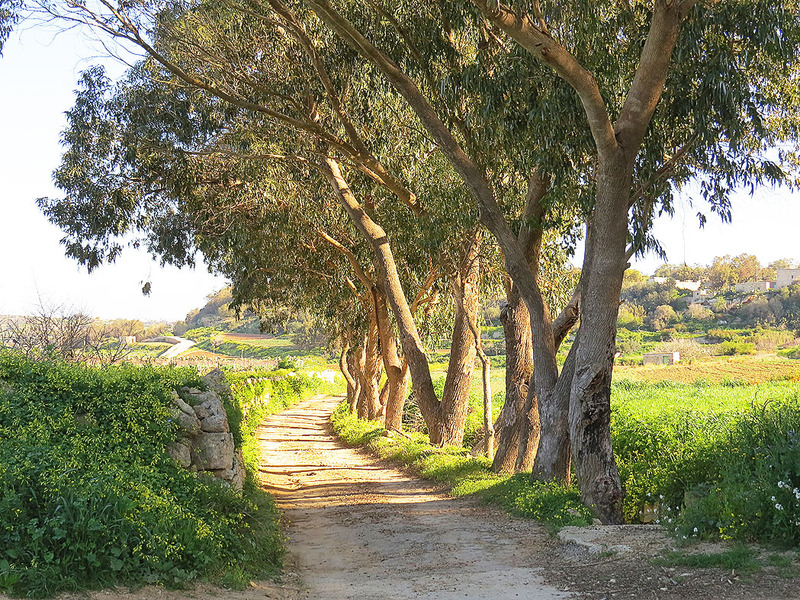 Undoubtedly Ghar Zerriegha is one of Malta’s best kept rural secrets – one that even a good number of Maltese locals are unaware of. Next to Ghar Zerriegha is another small hamlet – Mtahleb. This hamlet is dominated by a small church on a cliff top with a few farmhouses beneath the cliff. North of Mtahleb and on the road back to Rabat one can divert to have a look at another small hamlet called L-Andrijiet. This hamlet nests in a sheltered valley and contains very few houses but its rural ambience, sense of space and especially its silence are quite remarkable – passing through without encountering a soul is often the norm. L-Andrijiet also boasts one of Malta’s better hidden restaurants – Rogantino, specialising in suckling pig among a variety of mouth-watering choices. From L-Andrijiet it is just a short half hour’s trek along the country road back to Rabat. All the places mentioned in the article can be covered in a three hour walk starting and ending in Rabat.